Hemp is truly a Superfood! The Green Hemp seeds are only partially hulled and then ground at low temperatures to a coarse meal. This meal contains the nutrient-rich green skin which contains the majority of chlorophyll and fibre. Even with the skin, these seeds are smooth and creamy and easily edible and enzymaticalfy active. Branched Chain Amino Acids help in creating a fast acting metabolism which can increase and maintain muscle mass, while also aiding muscle repair after strenuous work. 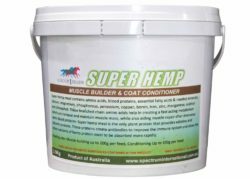 Super hemp contains no enzyme inhibitors like other plant-based proteins.